This weekend a new bar and lounge lounge joins the bustling scene in downtown Raleigh. 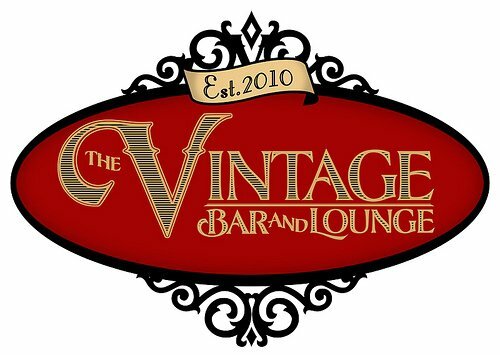 The Vintage Bar and Lounge will open its doors today (Friday March 26, 2010) for its grand opening in the location that was previously occupied by the Blue Martini. From a look at their website it looks like they pride themselves on offering classic cocktails including everything from “Mint Juleps” to the 1920’s favorite known as a “Side Car”. In addition to these vintage highballs, Vintage serves some excellent local beers on tap including selections from local favorites like LoneRider, Aviator, Big Boss, and Durham’s Triangle Brewing Company. They will also have live music nightly Thur-Sat. For more details on the newest addition to downtown Raleigh check out the information in the press release below or check out their website and facebook page. I’m looking forward to checking this place out real soon! The Vintage Bar and Lounge, a downtown Raleigh establishment that serves timeless drinks and classic American comfort food, will celebrate its grand opening weekend this Friday and Saturday, March 26-27. The Vintage invites its guests to commemorate the event with live music, giveaways and half-price specials. The Vintage is offering its menu of vintage cocktails at half price throughout the weekend, such as the original daiquiri, traditional Manhattan or refreshing mint julep. The Vintage will also feature its draught beers on special for $3.50 and all of the “Vintage Bites” on the food menu will be available at half price for the grand opening. Live music will start at 9:30 p.m. with The Commission playing on Friday and Wildmen From Borneo taking the stage on Saturday. Located in Powerhouse Square at 116 N. West St. in downtown Raleigh, The Vintage is a short walk from Glenwood South. With live bands every Thursday, Friday and Saturday, patrons can sing and dance along to hits from the 80s, 90s and today while enjoying one of the many classic spirits on the menu. The Vintage also has an extensive offering of draught and bottled beer that includes many local breweries, such as Aviator, Big Boss, LoneRider and Triangle Brewing Co. The food menu features traditional regional dishes such as Nathan’s famous hot dogs, a catfish po’ boy sandwich and Buffalo wings smothered in the authentic sauce from the Anchor Bar in Buffalo, N.Y. The Vintage has comfortable outdoor seating reminiscent of a classic car rumble seat that spans the length of the patio. Inside the bar there are lounge areas with luxurious leather sofas for groups to gather together. The 14 high definition TVs throughout the bar continuously display a variety of sports, classic television programs and movies. Free Wi-Fi is also available. For more information about weekly specials, events and to sign up for a membership, visit www.thevintagebarandlounge.com. At the Vintage Bar and Lounge we strive to be remembered for our friendly staff, timeless drinks and classic American comfort food. We want our guests to embrace the extraordinary history of the food and spirits we serve. Our aim is to invoke a sense of nostalgia and provide a relaxed environment to be enjoyed time and time again. The Vintage opens at 4 p.m. Monday through Friday, staying open until 2 a.m. on Fridays, and Saturday from 12 p.m. until 2 a.m. The Vintage is located in Powerhouse Square in downtown Raleigh at 116 N. West St., (919) 833-2823. Follow The Vintage on Twitter and become a Facebook Fan. I’ve been searching in google for some items and fortuitously found your triangleexplorer.wordpress.com site. What a wondrous blog! I admire how particular each of the entries are. They are well balanced, both cognitive and entertaining, and the pictures are great too. Thanks. I appreciate you checking out the blog!